Celebrating New Year's Eve with kids can be a lot of fun... and you won't have to worry about finding and paying for a babysitter! Win. Win. 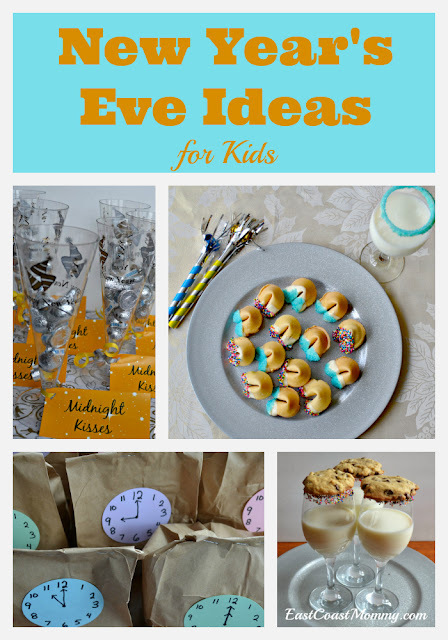 I'm always a big fan of ringing in the new year with my boys', so today, I am sharing some of my favourite ideas for celebrating New Year's Eve with kids. 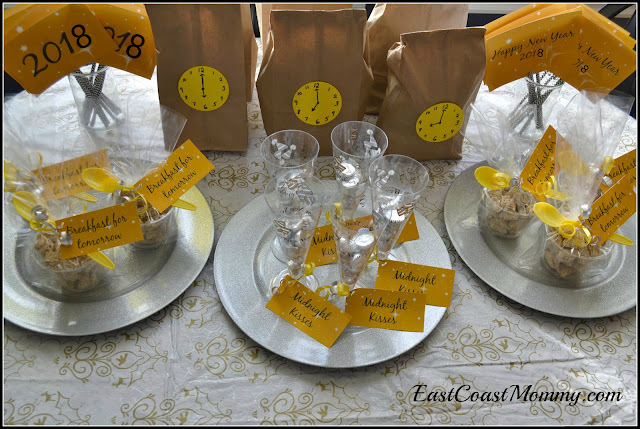 1) Countdown bags - I first put together countdown bags for my boys when in 2012, and they have been a New Year's Eve staple in our house ever since. It's a fun way to keep the kids entertained, and it is a wonderful way to build anticipation for the big countdown. 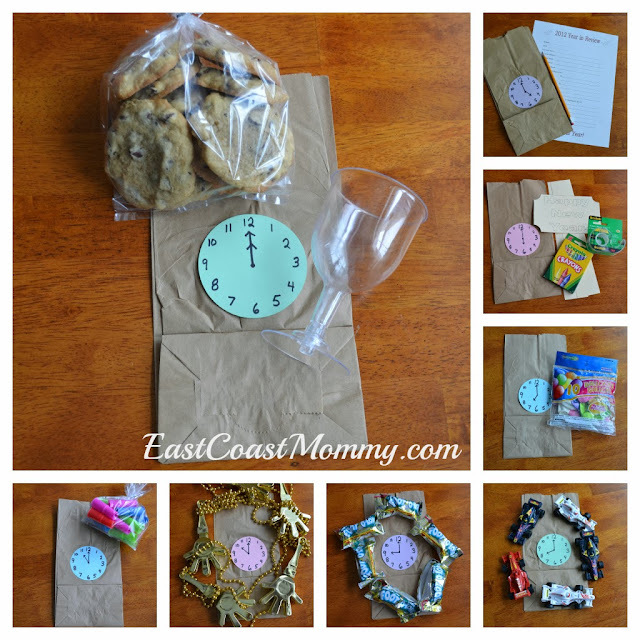 Read all about our simple New Year countdown bags here. 2) Photo booth - Setting up a photo booth is another fun way to entertain kids (and to document the fun of the celebration). 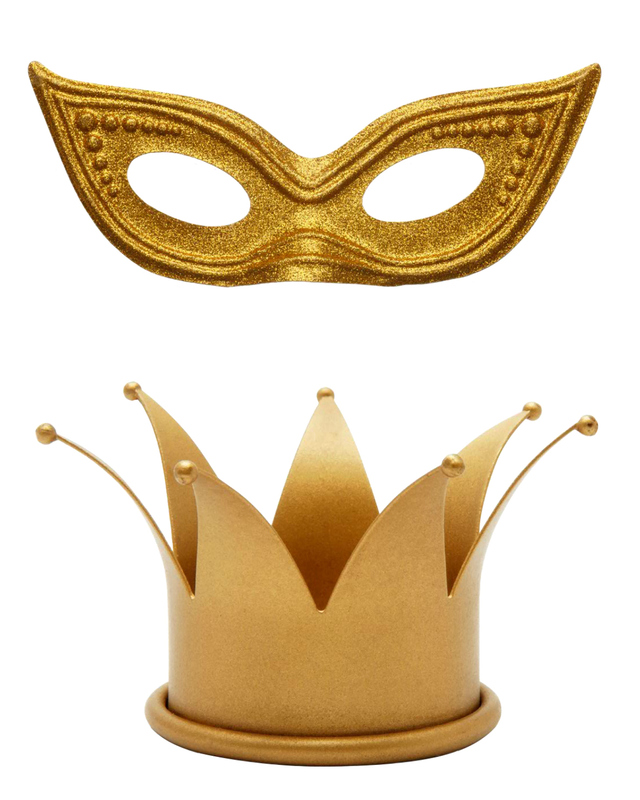 You can download the props below, print them on card stock, and attach a stick for holding them. You can also inexpensively buy props at the dollar store. To download my props: right-click on the pictures below, save them to your computer, and print them like regular 8X10 photos. 3) Mocktail bar - Setting up a fun drink station for kids can be a lot of fun. Fruit juice and sparking water can be used with whimsical garnishes like candy stir sticks and gummy bears. 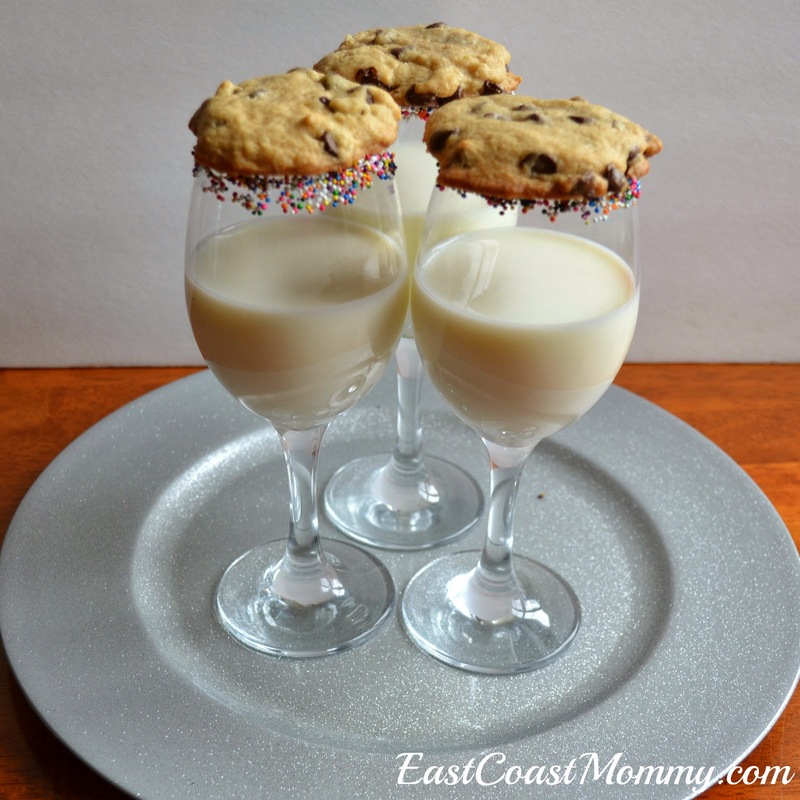 You can also have milk in fancy, candy-rimmed glasses for a "milk and cookies" toast at midnight. 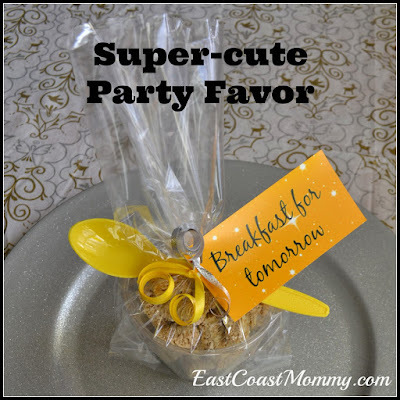 4) Party favours - Every party needs a "party favour". 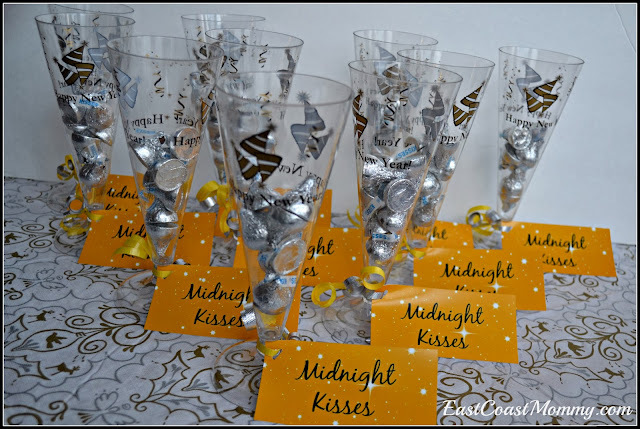 I love the idea of midnight kisses (Hershey Kisses in champagne flutes), candy rings or bells to "ring in the new year", and/or breakfast for the next day (cereal in plastic bowls with cute tags. 5) Fortune cookies - Fortune cookies are always fun for kids, and it is simple to turn store bought cookies into a special treat using the tutorial you can find here. 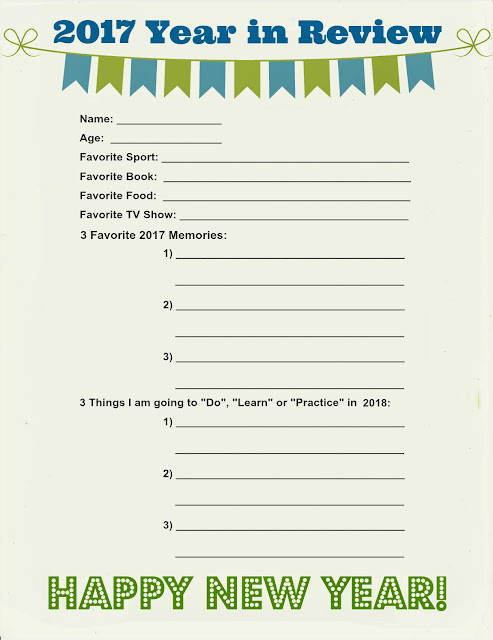 You could also turn them into a party favour by adding a tag that says "wishing you good fortune in the the new year"
6) Year in Review Questionnaire - New Year's Eve is the perfect time to review the past year with kids. It's also wonderful to set goals for the year ahead. I love this 2017 Year in Review form, and you can download it for free by: right-clicking on the picture below, saving it to your computer, and printing it like a regular 8X10 photo. 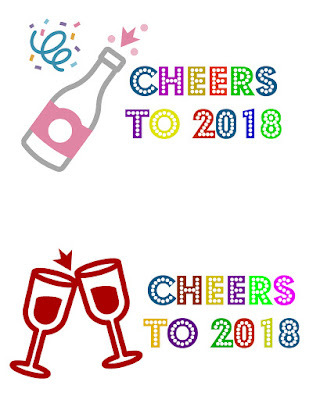 How do you celebrate New Year's Eve? Do you stay at home with the kids, or head out to an adult party? You can always do both if you do something early with the kids. There is no law against an early countdown. Happy New Year, and all the best to you and your family! New Year's Eve is a time for reflecting on the past year and looking forward to the new one -- not just for adults, but for kids too. 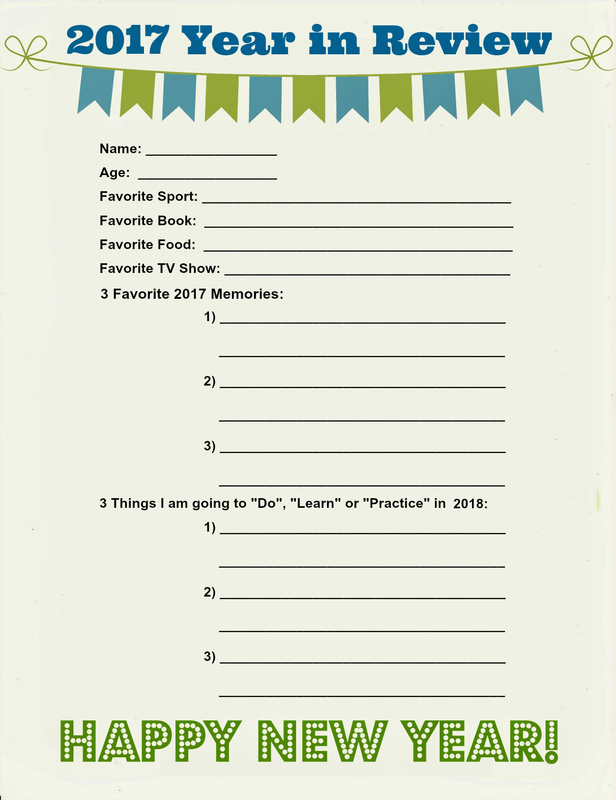 With this in mind, each year I put together a Year in Review Questionnaire for my boys to fill out on New Year's Eve. Here is the 2017 version. It is a pretty simple questionnaire, and you can download the free printable by: right-clicking on the picture (above), saving it to your computer, and printing it like a regular 8X10 photo. I usually print mine at my local office supply store where colour copies are $0.39 each. I love seeing what my boys come up with each year. Maybe someday I will make a book for each of my boys using all the questionnaires they have filled out over the years. I am a big fan of keeping things simple, and I absolutely LOVE a good shortcut. 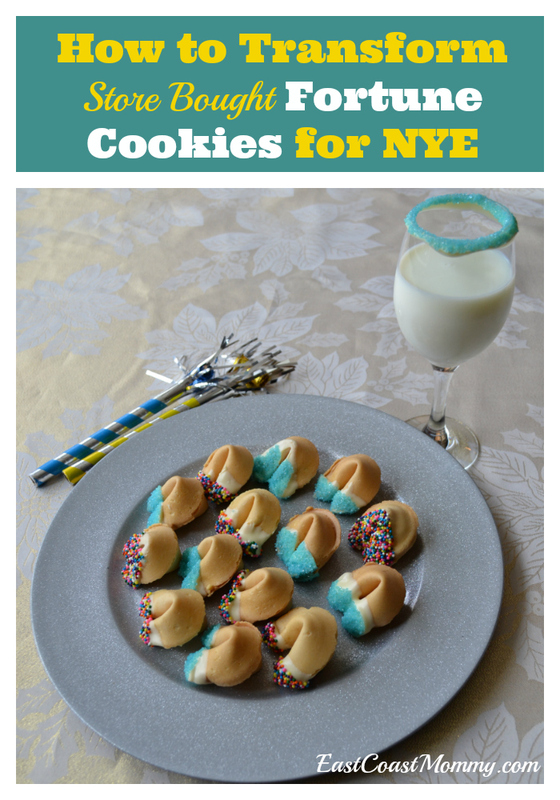 Today, I am sharing a really fun idea for New Year's Eve. 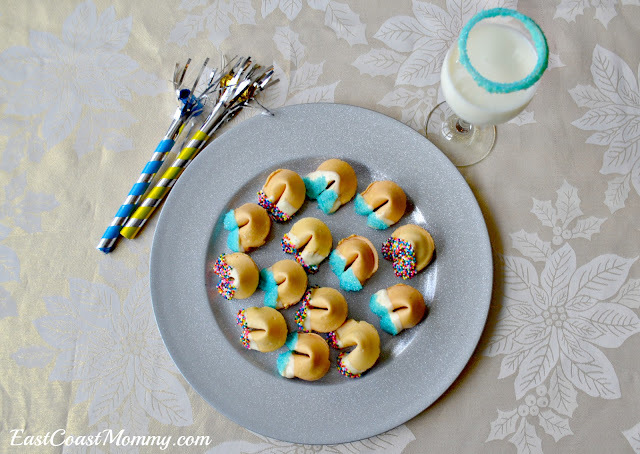 With a few ingredients, and a couple minutes, you can transform "store bought" fortune cookies into an elegant New Year's Eve treat that will impress your guests! You'll need: store bought fortune cookies, baker's chocolate, and sprinkles. 2) Dip the cookies in the chocolate, and let excess drip off. 3) Dip the cookies in sprinkles, and place on wax paper to allow the chocolate to harden. They really are impressive looking when you put them on a nice tray. 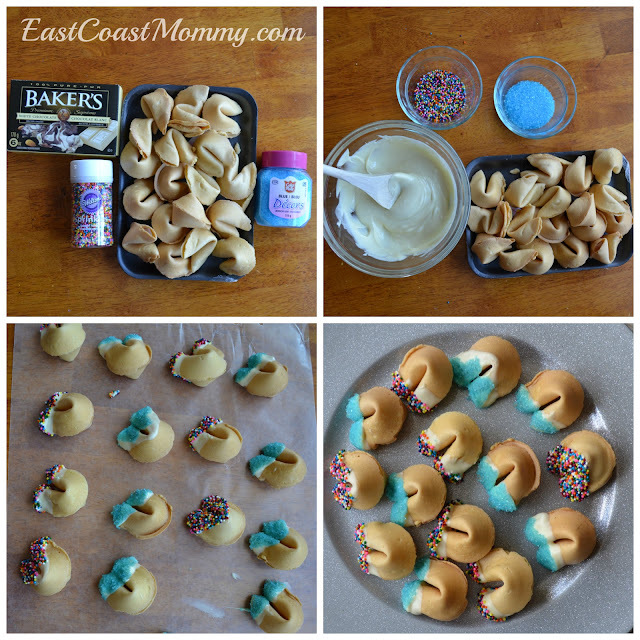 It would be fun for kids to help make this treat too, and they'll love cracking them open and reading their fortunes. You can also dip a glass in chocolate and sprinkles for an added festive touch. I love a good short cut, don't you? 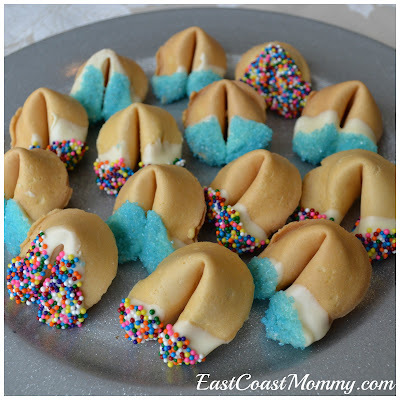 These fortune cookies are easy, inexpensive, and a lot of fun. 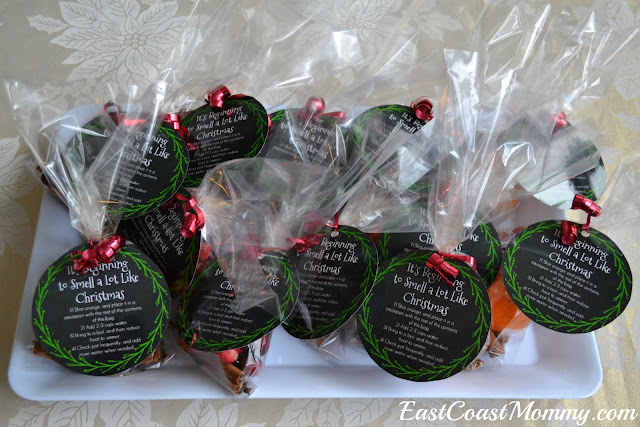 You could even send them home as party favours with a "Wishing you good fortune in the new year!" tags. Fun, right? 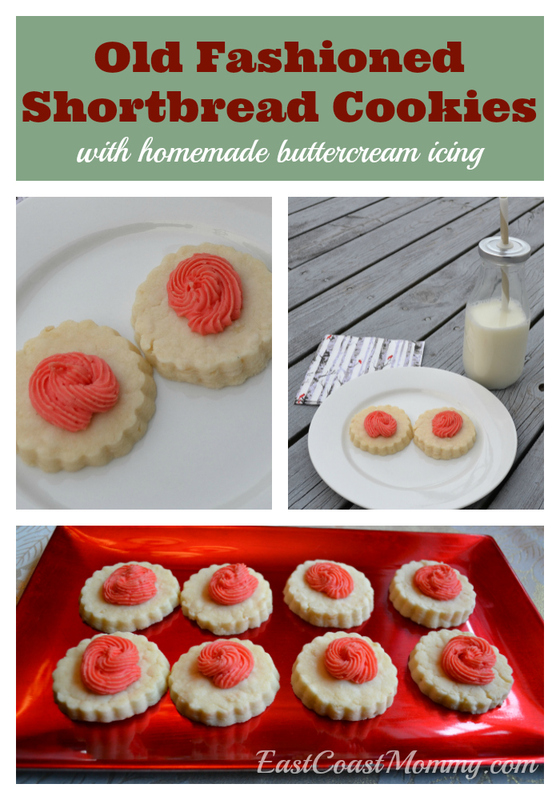 I absolutely love a homemade shortbread cookie. I love the buttery flavour and flaky texture. It's the perfect cookie with a glass of milk or a cup of tea/coffee. 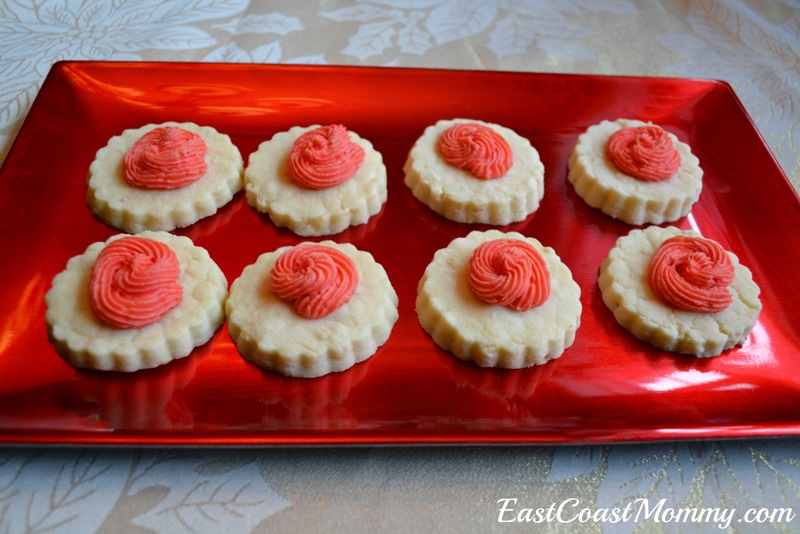 Today, I am sharing a simple recipe for old fashioned shortbread cookies that is easy to make and tastes like the cookies your grandma used to make. Beat until well mixed and crumbly, and then form into two discs with your hands. Cover with plastic wrap, and pop into the fridge for 30 minutes. Note: It looks crumbly when you are mixing it, but when you start to work with it in your hands, it all comes together nicely. Roll out to 1/4 inch on a floured surface. These really are delicious cookies, and they are great for sharing during the holidays too! Do you have a favourite shortbread recipe? If you are looking for one that is simple and delicious, you should give this one a try. 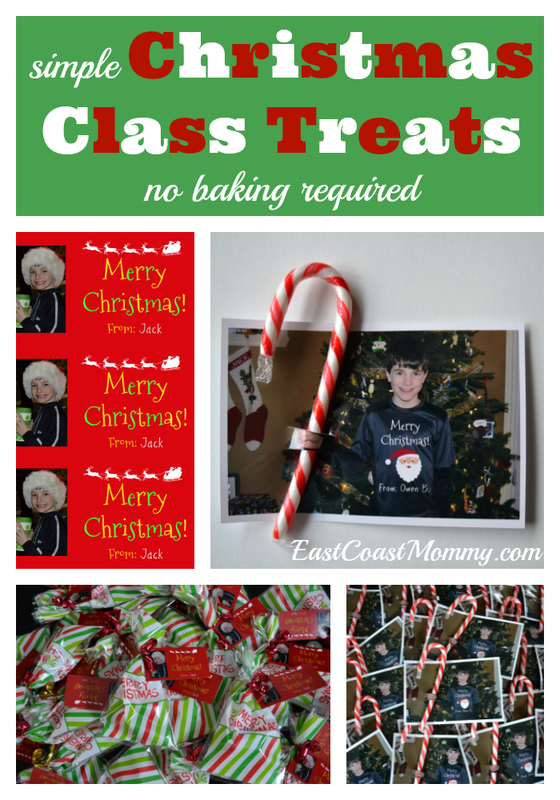 Tomorrow is my boys' last day of school, and they love to bring little Christmas treats for their classmates. 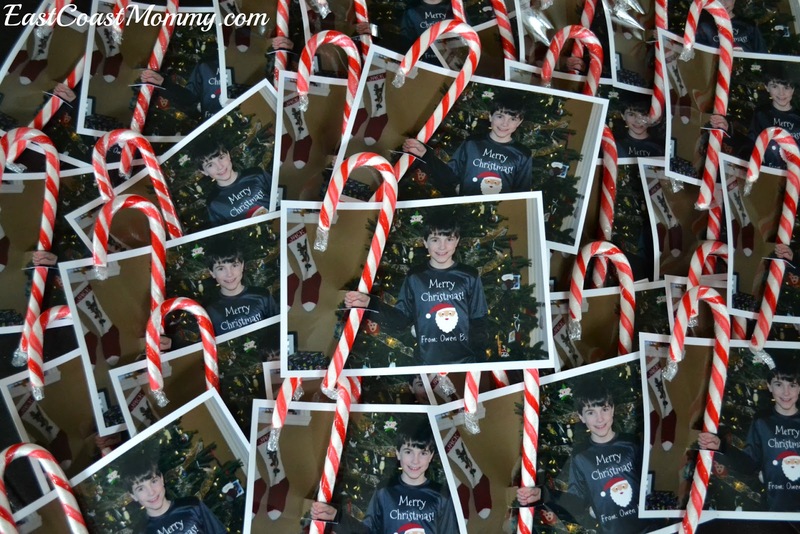 This year, my middle son is bringing a fun photo treat, and my youngest is bringing a bag of goodies. Check them out below! To make the fun photo card/treat, I took a picture of my son holding a fist to the side. Then, I added a Christmas greeting using Picmonkey.com. I love how cute and personal these treats are, don't you? My youngest son isn't allowed to bring food to school, so he opted for little tree ornaments in gift bags. 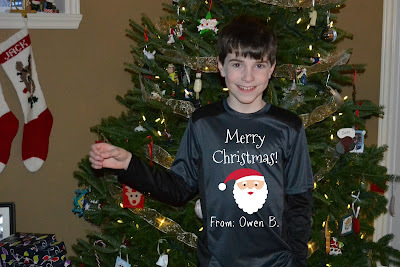 I added a fun photo tag that I created in PicMonkey, and the result is super-cute! Are your kids sharing treats with their friends this year? These options are simple and fun! Who doesn't love cuddling up in front of a decorated tree and watching a wonderful Christmas movie? And this year, Netflix* has some wonderful movies ready to stream any time you want. 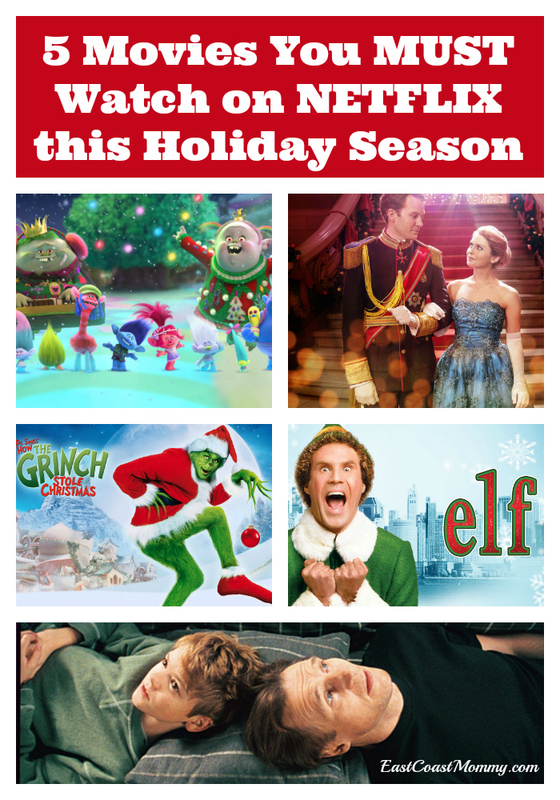 Today, I am sharing 5 of my favourite holiday movies... and you are definitely going to want to put them on your viewing list this holiday season. 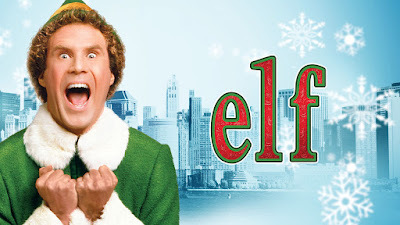 1) Elf - This really is a wonderful movie for the whole family. Will Ferrell is perfectly cast, and the story is sweet and funny. I've already watched it once this year, and I will likely put it on again before the holiday is over. 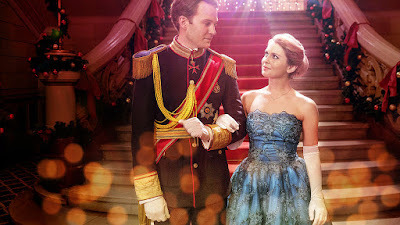 2) A Christmas Prince - This is a new Christmas movie on Netflix, and it is simple, sappy, and a perfect movie for moms to watch with the tree lights on and a glass of wine in hand. 3) Love Actually - This is definitely a movie for grown ups, but it is a holiday favourite of mine. It's original, funny, and it tugs at the heart strings. If you haven't seen it, you need to watch it! 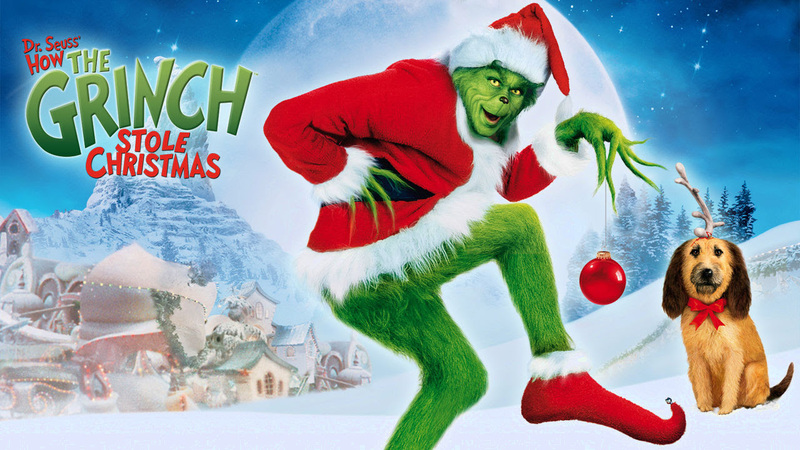 4) How the Grinch Stole Christmas - This is a classic story, and it is one that parents and children will enjoy watching together. It has a wonderful message, and Jim Carrey is a perfect Grinch! 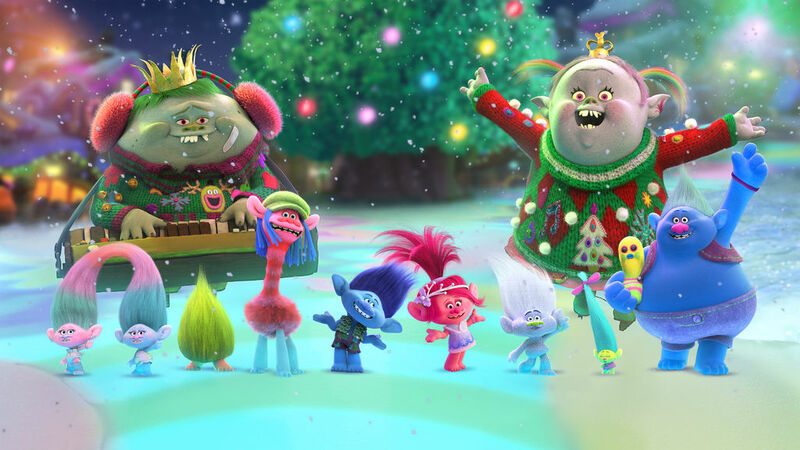 5) Trolls Holiday Special - This holiday treat is new to Netflix, and my whole family loved it. It's funny, well cast, and the music is fantastic. I highly recommend it! What's your favourite holiday movie? Did it make my list? *Disclosure: I receive special gifts and perks as part of my affiliation with Netflix.... however (as always) the opinions on this blog are 100% my own. I have the greatest neighbours, so I like to give them a small gift at Christmas. 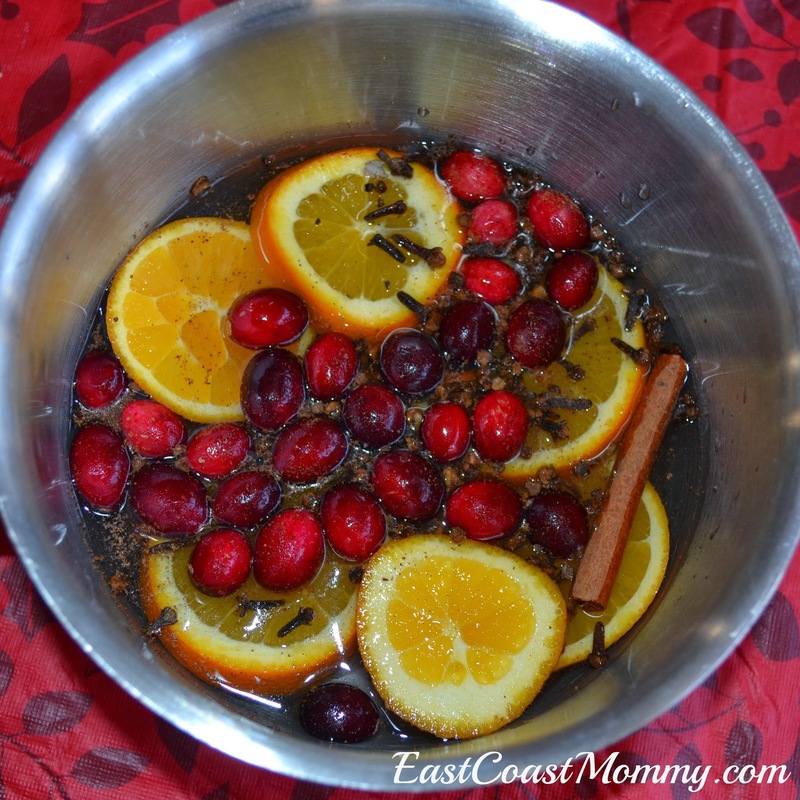 This year, I am sharing homemade, fresh potpourri that they can simmer on their stoves. It's simple to make, and it really smells like Christmas. 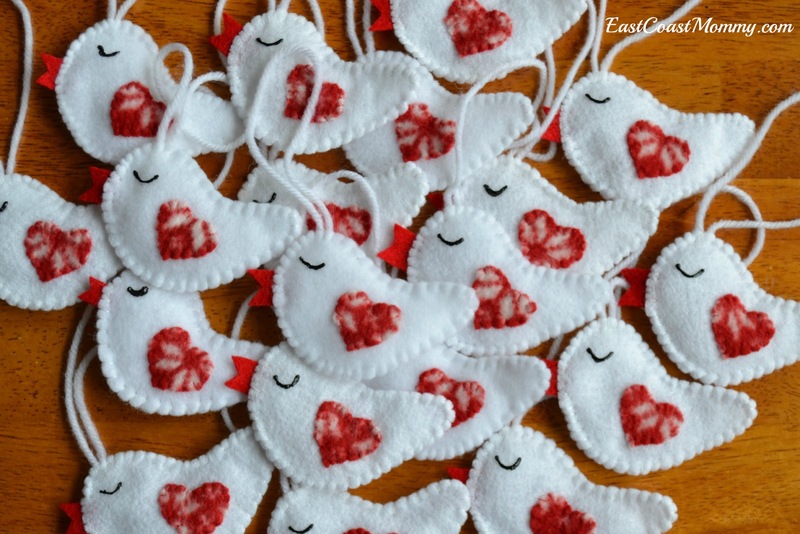 I'm also sharing the free printable tags I designed so you can share this little gift with your friends and neighbours. I tied the bags with red curling ribbon, and I added a cute "It's Beginning to Smell a Lot Like Christmas" tag. To download the tag I designed: right-click on the picture below, save it to your computer, and print it like a regular 4X6 photo. Doesn't the potpourri look pretty all packaged up? 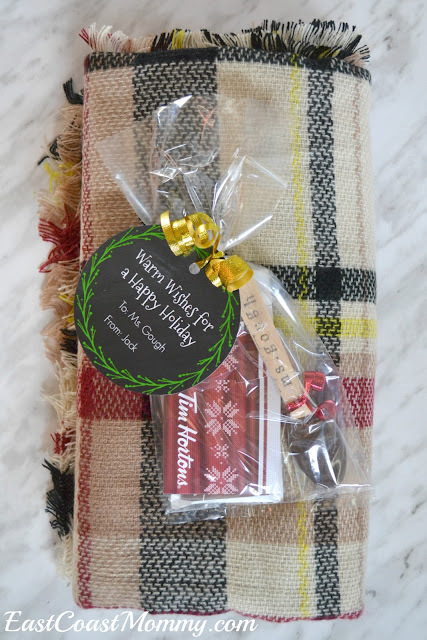 These packages are wonderful for giving to neighbours, but they are great for teacher and hostess gifts too. 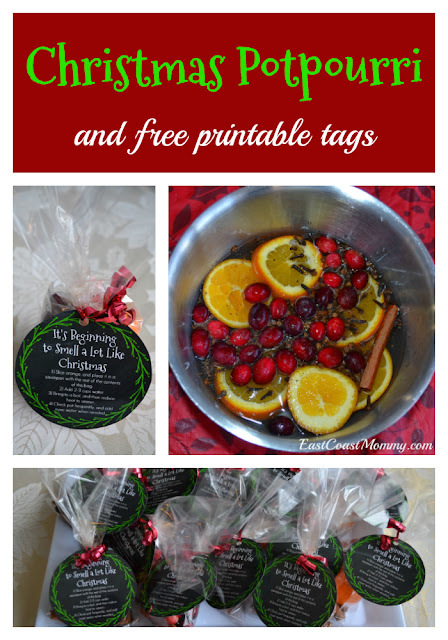 Do you think you will make these potpourri bags to share with friends and family? A homemade gift from the heart is always special and much appreciated. Each year, during the holidays, my boys raise money for charity. 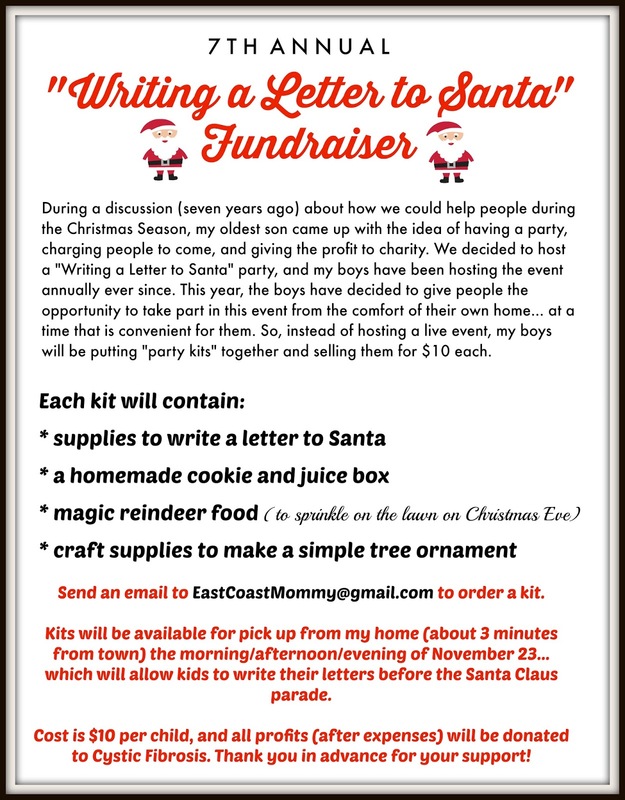 I have always thought it was important for my boys to "give back" during the holidays, and I am proud of their efforts to organize a "letter writing to Santa" fundraiser. 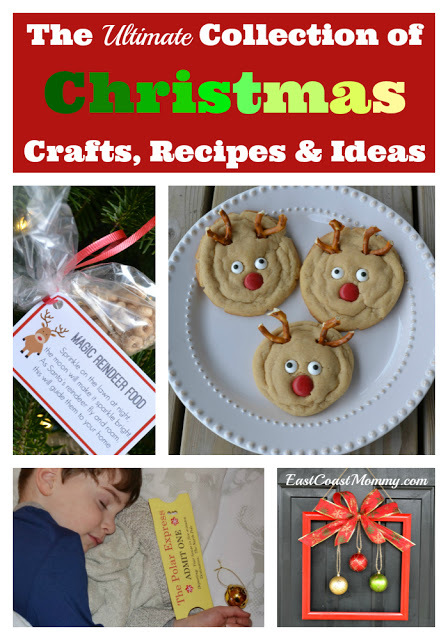 They bake cookies, create craft kits, make reindeer food, and package it all up to sell. 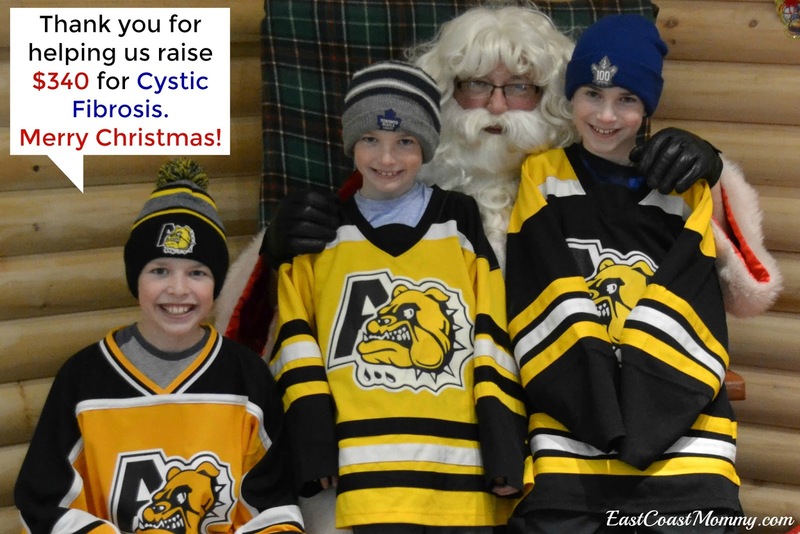 This year, they raised $340.00 for Cystic Fibrosis (a disease that their 5 year old cousin is living with). My boys baked cookies, put together craft kits, and packaged up reindeer food. They worked really hard, and sold a lot of kits. I think the kids that purchased them had fun too! 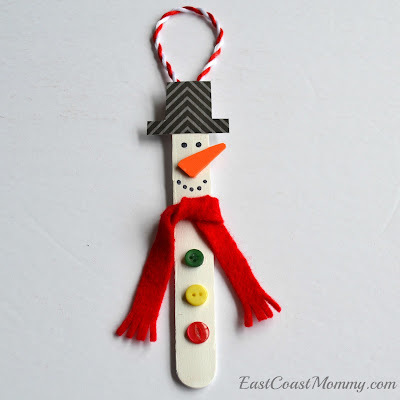 I just love the adorable tree ornament that the kids could make with their kits. I think it is fantastic that my boys were able to do the work, and they were super-proud of the money they raised. It meant a lot to them, and giving back is an important part of our family's holiday celebrations. How do you find a meaningful way for your kids to give back at Christmas? I love a thoughtful and well packaged gift, don't you? 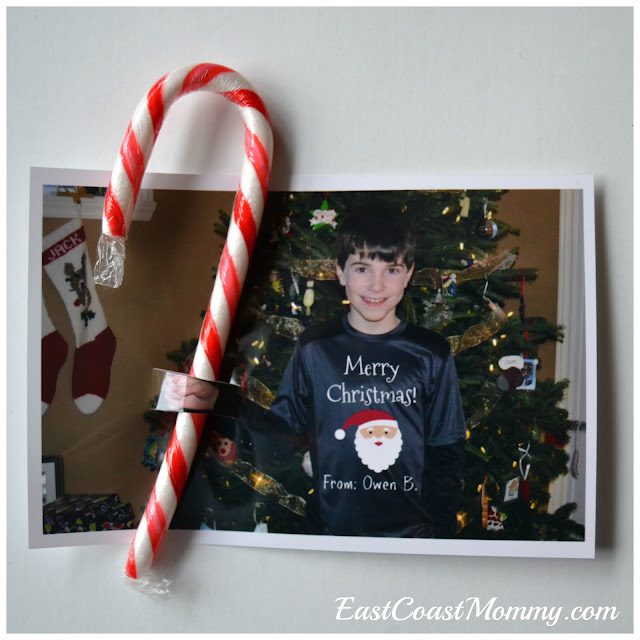 Today, I am sharing a gift that contains elements that are handmade, practical, and fun. I especially love these ideas for teachers! 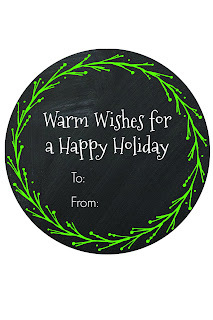 Keep reading to see my "warm wishes" gift ideas and free printable tags. Of course, when you think about "warm wishes", you can't help but think about hot chocolate, and chocolate spoons are the perfect companion to this popular hot beverage. 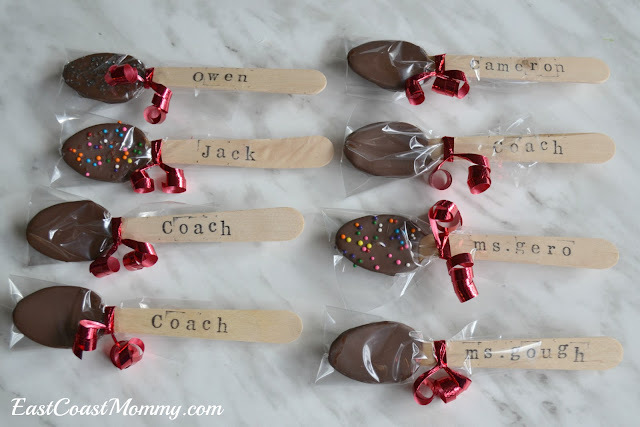 And the good news is... chocolate spoons are adorable and could not be easier to make. The kids can even do it! 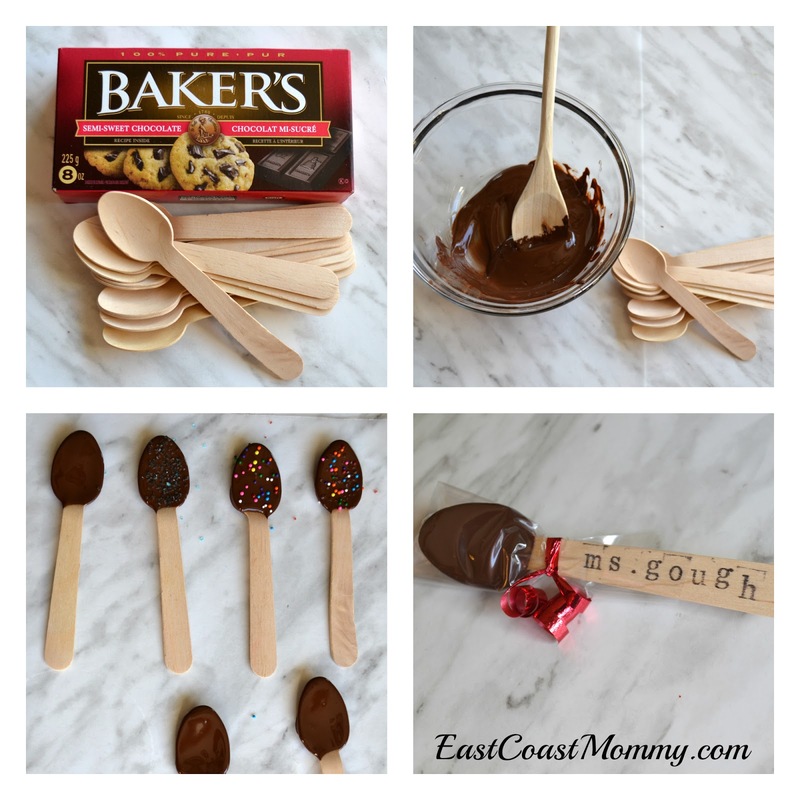 Start with baker's chocolate and wood spoons (or plastic if you can't find wood ones). Melt the chocolate in the microwave (according to package directions), dip the spoons, sprinkle with sugar or candy (if desired), and place on wax paper until the chocolate hardens. 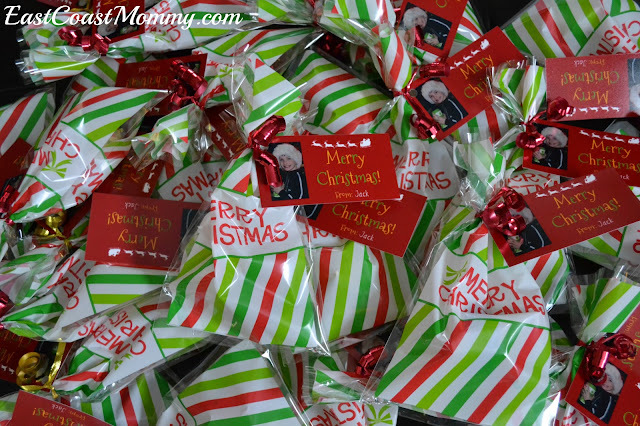 I wrapped my spoons with candy wrappers and added names with alphabet stamps. Cute, right? 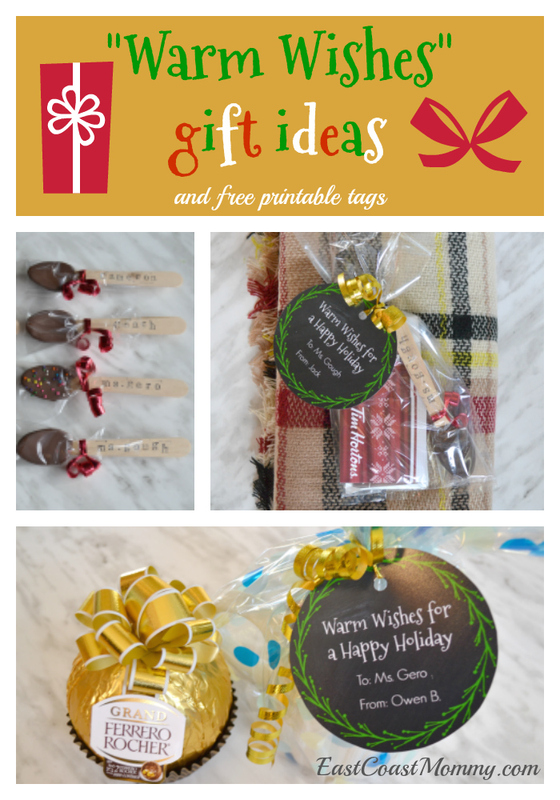 I included my spoons in a "warm wishes" package that included a beautiful blanket scarf, some hot chocolate, and a coffee gift card. 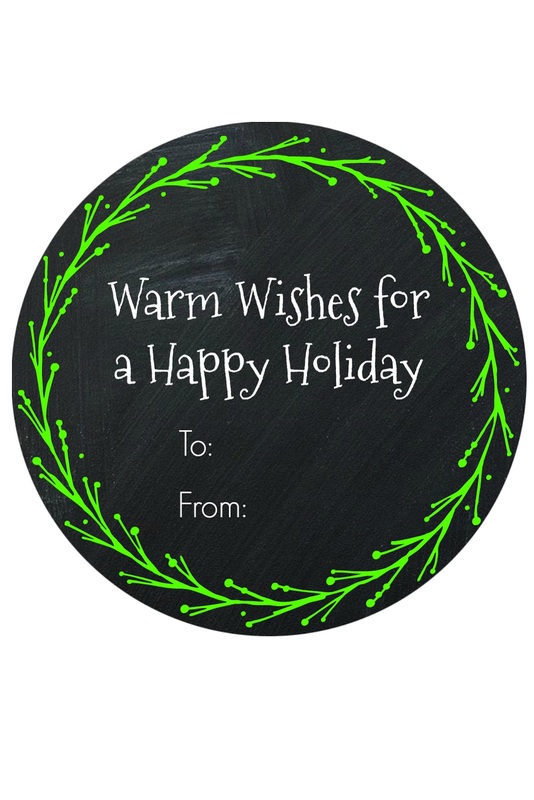 To download the "warm wishes" tag (for free): right-click on the picture below, save it to your computer, and print it like a regular 4X6 photo. 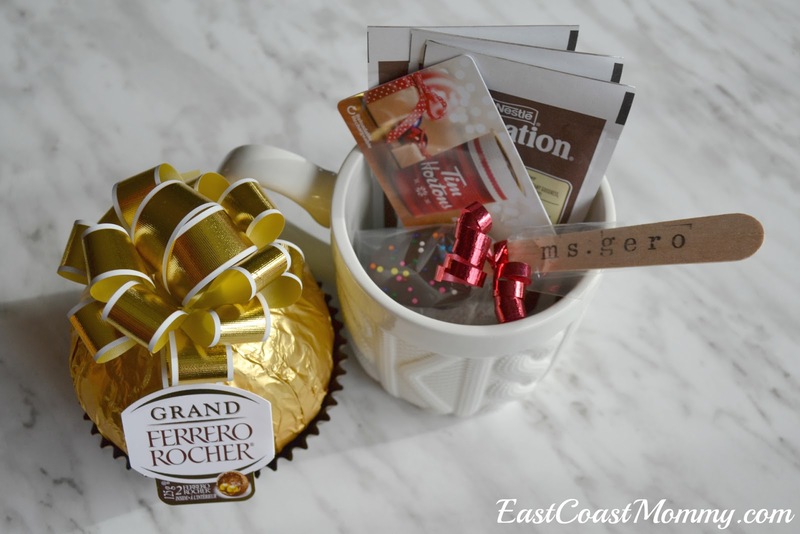 I also packed the spoon in a cozy sweater mug with hot chocolate, a coffee gift card, and the world's largest chocolate. 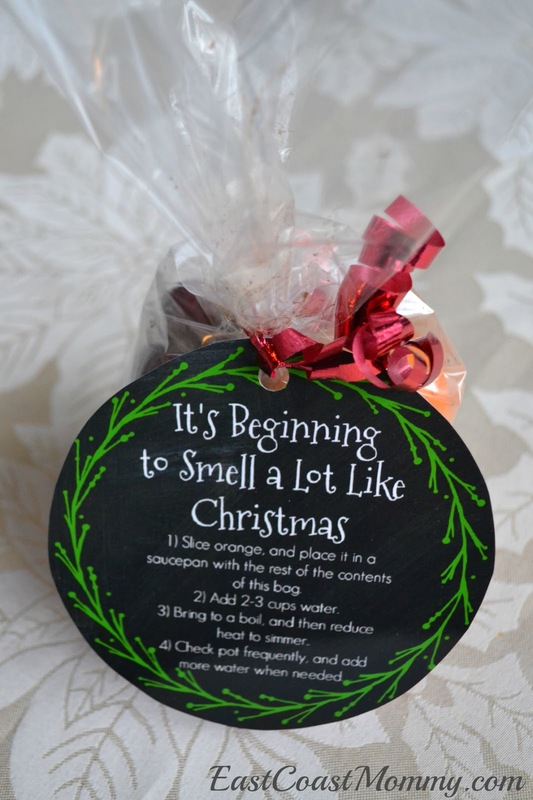 Don't you just love these "warm wishes" gift ideas? 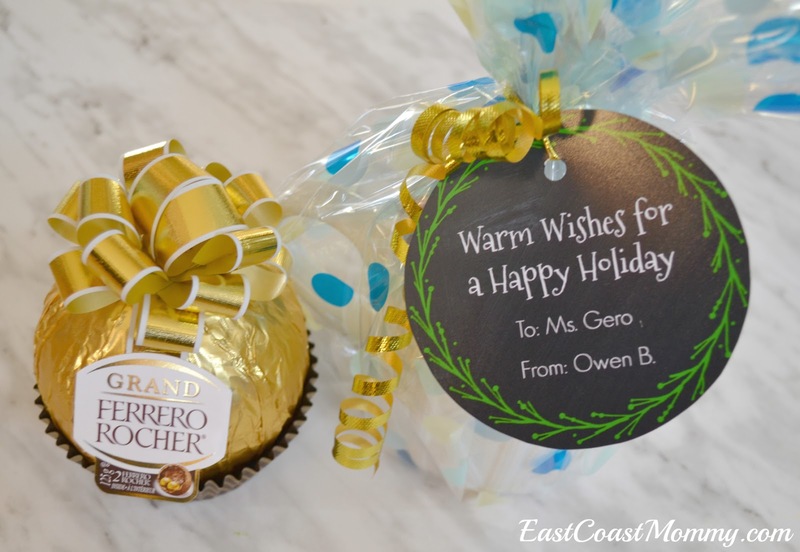 You can tailor them to any budget, and they make wonderful gifts for anyone on your list. 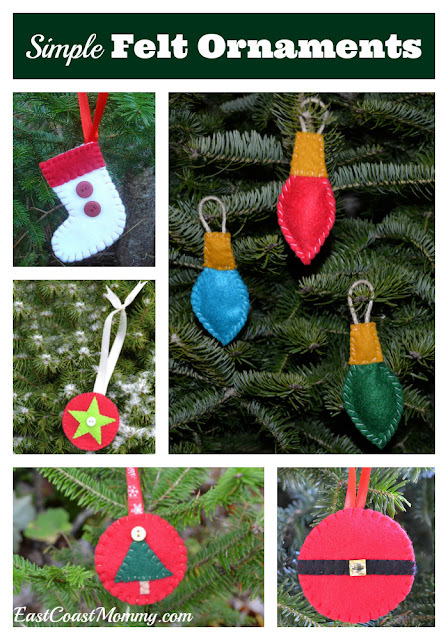 Felt is a wonderful, easy, and inexpensive material to use for making Christmas ornaments. It lays flat, it is easy to cut, and you don't need to worry about fraying edges. If you are a "beginner" when it comes to sewing, you are going to love the 8 simple felt Christmas ornaments I am sharing today. They are perfect projects for kids learning to sew too! 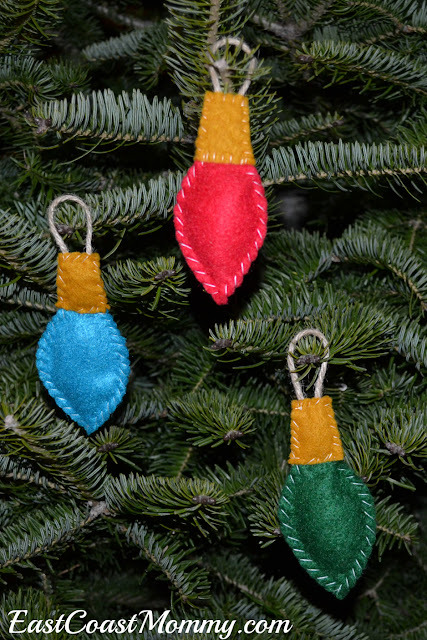 These colourful lightbulb ornaments are sure to brighten your tree. Find the full step-by-step instructions here. These simple stockings are super cute and super easy to make. Find the full step-by-step instructions here. 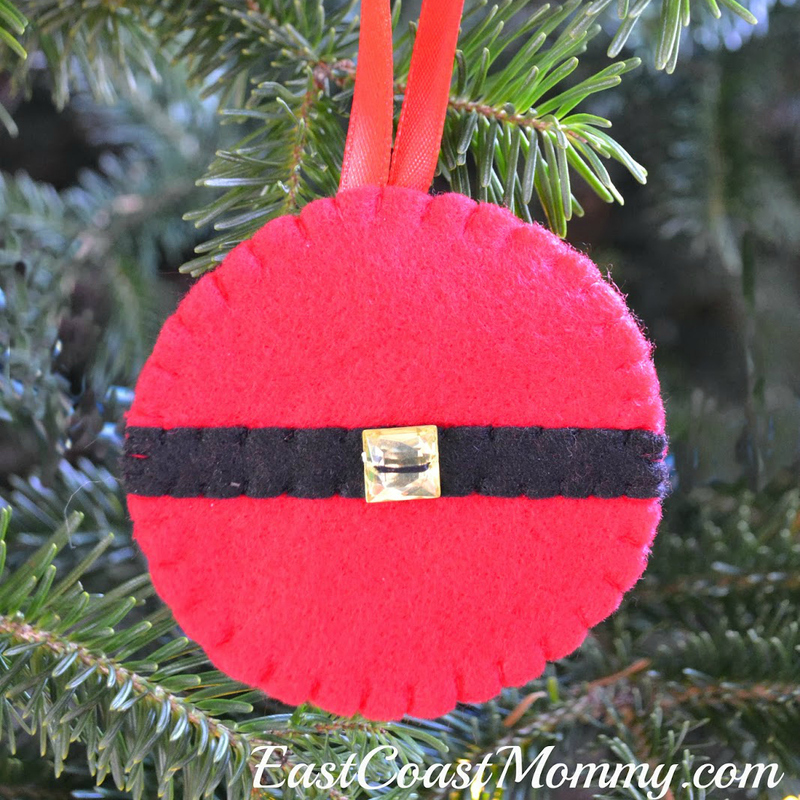 This round "santa belly" ornament incorporates a traditional round ornament shape, and the gold button adds a festive flair. Find the full step-by-step tutorial here. 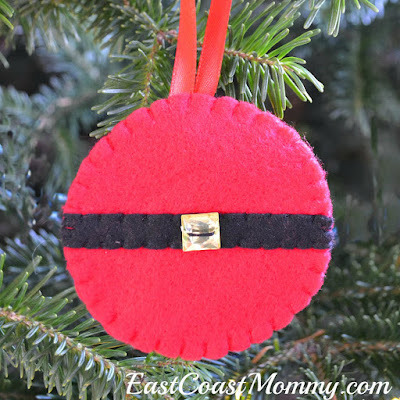 This simple and elegant felt angel ornament is adorable, and you can find the full step by step tutorial here. If you can draw basic shapes, you can make this adorable felt tree ornament. Find the full step-by-step instructions here. 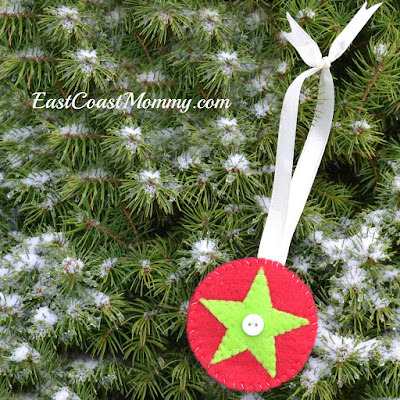 The traditional colours of Christmas (red and green) are used to create this simple star ornament. Find the full step-by-step instructions here. 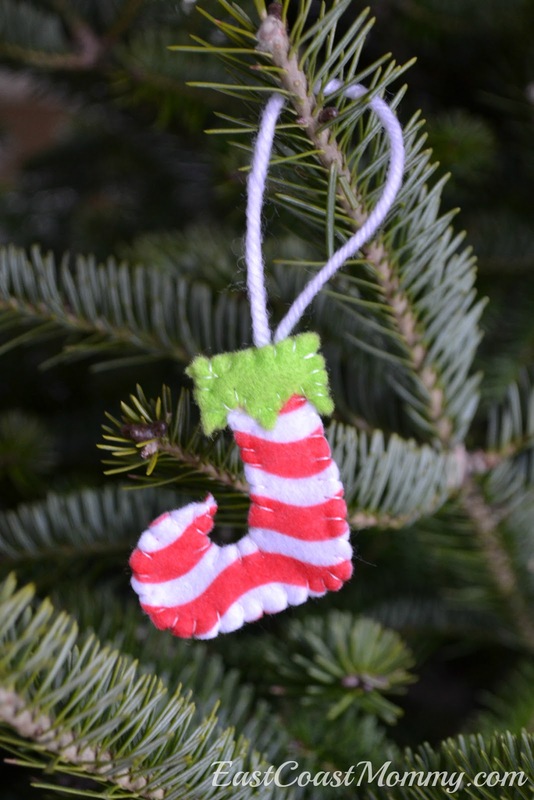 This whimsical elf boot ornament is made with a festive and fun patterned piece of felt. It's unique, and easy to make. Find the full step-by-step instructions here. 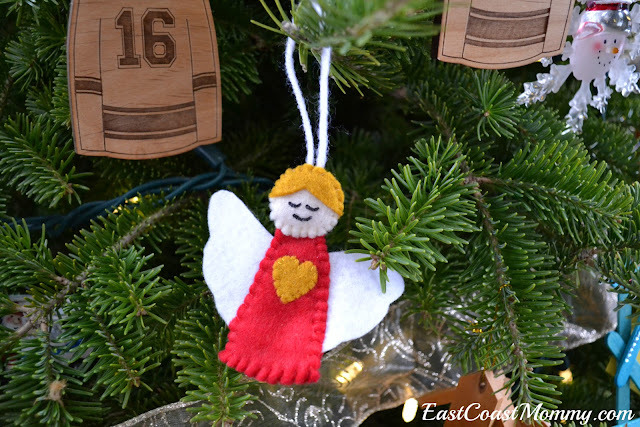 Memorial ornaments (that use a piece of the deceased clothing) are a special way to pay tribute to a loved one during the holiday season. 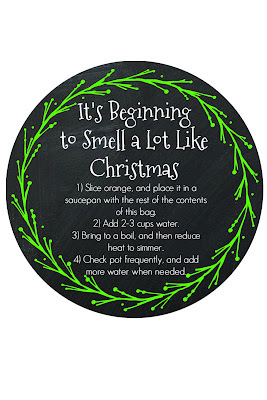 Find the step-by-step instructions here. I love all of these felt ornaments, but the memorial ornament holds a special place in my heart. Do you have a favourite?